Projects, Programs, Portfolios, Oh My!! How do projects, programs and portfolios relate? This can be answered by two examples and a few links. Project - A temporary endeavor undertaken to create a unique product, service, or result. Program - A group of related projects, subprograms and program activities managed in a coordinated way to obtain benefits not available from managing them individually. *Can be configured to manage multiple independent projects, programs, or portfolios. If you are new to Project Management, this may be a little over-whelming. If you are PMP certified and think you have reached the pinnacle of project management, think again. You may find "You're not in Kansas anymore!!" If you are focusing on improving the project management capabilities of your organization, STOP! You may be wasting money and time of your limited resources. To determine if this is true, read on. So you realize that businesses today function different than those of the past. Everything is a project. You have found yourself in a situation where you have a ton of projects in the pipeline. Many are active and ongoing, some may be waiting to get started. However, all require the involvement of your limited list of resources. So to improve the successful delivery of these projects, you have been focusing on improving the project management capabilities of your organization. This could involve setting up a PMO, developing detailed "How To" processes, hiring PMP certified project managers, investing in existing project managers to get them PMP certified, or purchasing and implementing an enterprise project management system (Project Server, Niku, Planview, Primavera, etc). All of these things are good, and they may improve the successful delivery of your projects. However, should you really deliver all the projects on your list? Are all of these projects in line with the strategic objectives of the organization? Once complete, will the projects deliver the Return On Investment targeted by your company? Is the risk of failure low enough to make the venture worthy of pursuing? If you are not able to answer these questions for all the projects in your pipeline, then you need to shift your focus from improving your project management capabilities and concentrate on improving Portfolio Management. What value does it bring to your organization if you can deliver a project on time and within budget, if that project is not in line with the organizations overall strategic objective? NONE!! So to invest time and money to improve the delivery of a project that is not needed is a waste. Project Management focuses on "doing things right". Delivering the scope of the project on time, within budget and meeting customer expectations (quality). Portfolio Management is about "doing the right things". The focus is on the intake, prioritization, and sequencing processes of proposed projects. To explain in a little more detail, we must think of a funnel. All project requests must come in through this funnel. They flow through the funnel and into a container that consists of all other proposed projects as well as the current ongoing projects. This container is your portfolio. The portfolio can be managed by the PMO and/or management. The next step in Portfolio Management revolves around strategic alignment. Looking at the list, all projects must either be mandatory (gov't regulations) or in line with a strategic goal of the organization. If not, they get thrown out. So now we are focusing on a smaller list. The next thing we focus on is the ROI of these projects. Will they produce the kind of returns the organization strives to achieve? If not, they get removed. Now to Risk. How confident are we that these projects can be delivered succesfully? If there is a high risk of failure, do we even want to begin the venture? This step will remove more projects from the list. There are other criteria that could be used to shorten this list of projects, but we will stop here. We now have a list of projects that we believe we can deliver successfully that align with the organization objectives and produce the desired ROI. We could use these variables in a formula to establish the priority of each project. To keep things simple we'll say the output translates into 1 through 4. A project that has a high ROI and a low risk would equate to 1 or high priority (mandatory projects automatically get a 1). The output of the formula for a project with higher risk and lower ROI may end up with a 4 or lowest priority. So now we now have a list of prioritized projects. But we still find ourselves in a situation where we cannot deliver all these projects simultaneously due to the current number of resources in our resource pool, and/or budget constraints. We must focus on sequencing. Sequencing involves sorting the list of projects based upon their priority ranking. Projects of high priority should get our attention first. In other words they should start as soon as possible. We must lay the new or proposed projects on top of ongoing projects to determine what is doable and when. This is done by examing the resource demands and timing of the current projects and newly proposed projects. We may find that given the current list of projects and their demand for resources (or budget) that no new projects should be started until 2 months from now. By that time, some of our existing projects will either ramp down with respect to resource needs or close. This will make room in the pipeline for the new projects to start. We continue this exercise of adding more projects to the pipeline based upon their priority and sliding their timing to an achievable timeframe until we have all projects in the pipeline and estimated start dates established. The process of prioritizing and sequencing of projects should be completed periodically. This period will vary by organization or level within. Whether performed monthly or annually, keep in mind that strategic objectives or the ranking of projects may change before a project has completed. A once high priority project may now be viewed as low. The portfolio should be resorted and perhaps this project is put on hold or even killed before it is completed. During this process you may also uncover that in order to deliver projects by a reasonable or desired finish date, that additional staff may be required. Hopefully from this article you can see how focusing on improving the project management capabilities of your organization may not be the best use of your time and money. 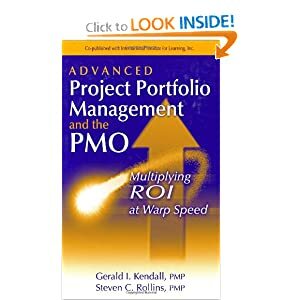 If you have a team of PMP certified project managers, who have years of real world experience, and some of the best subject matter experts as team members, you will still have problems delivering your projects successfully if you do not properly manage the portfolio. "You can't put 10lbs. of stuff in a 5lb. bag". 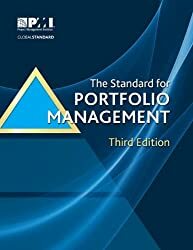 One final point, now that you understand the process of portfolio management, you can submit your project of implementing a PMO or Project Server into your portfolio and prioritize and sequence it along side the other ongoing projects. Your chance of a successful implementation will be much higher! To learn more about Portfolio Management, try visiting the Reseach Center at PMConnection.com.